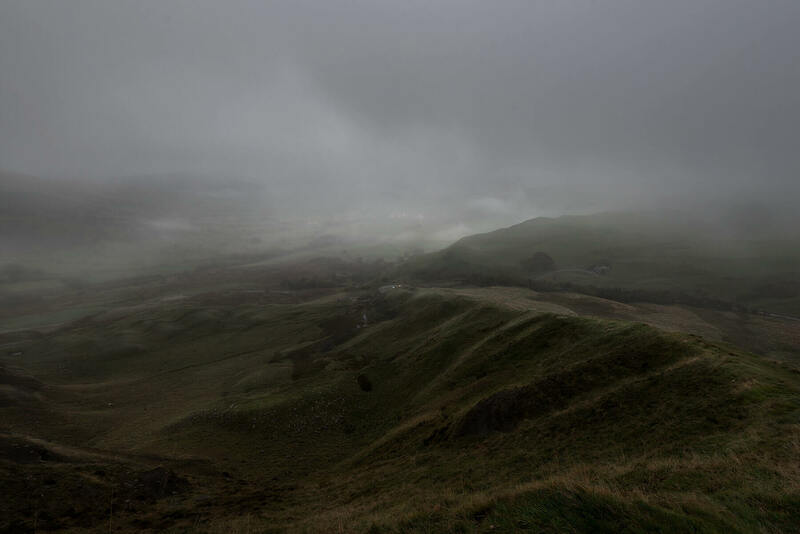 I've had a couple of attempts at shooting at Mam Tor, the first time was thick with fog with very, very low visibility (see below). Ever since then I had been tracking the weather on the met office and watching for a misty morning with slight clouds for a good sunrise. This shot has been taken loads of times before and when I took it I was stood with loads of other photographers, but I still wanted to have a go at it. 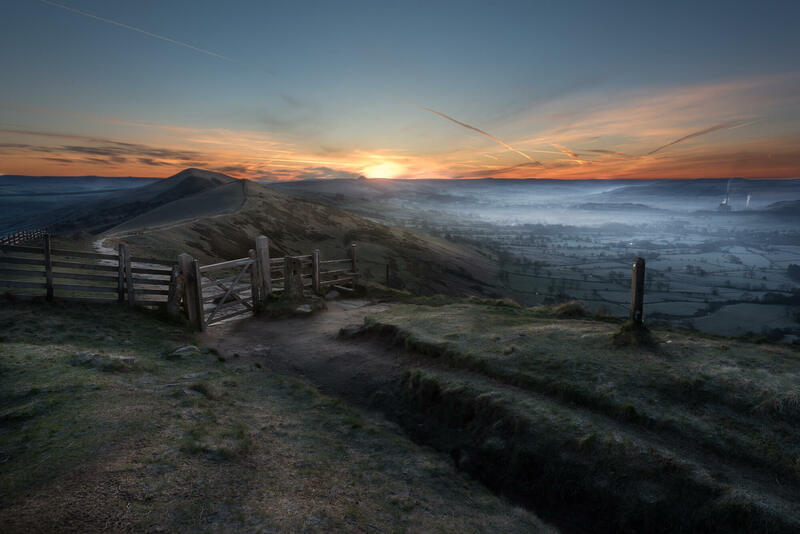 Mam Tor is an amazingly beautiful place and really popular with photographers so its worth getting up there early to get the right spot, there were people all the way across the hill taking shots on my last visit there.